These Jumbo Down Alternative Pillows are perfect for those who like a larger pillow. The jumbo size gives you plenty of space to rest your head, and the polyester fill is nice and soft, so you'll be comfortable all night long. You'll be sleeping like a baby once you rest your weary head on these fabulous pillows. Jumbo/Queen - 20 x 28"
Don’t let bed bugs, dust mites, pet dander, bacteria and other allergens ruin your night. The fabric in these premium pillow protectors has a pore size of 3-4 microns to effectively block bed bugs, dust mites and allergens from getting through. The tight-locking zipper eliminates any openings so that bed bugs can’t slip inside. Nighttime allergy relief has never been this easy! In addition to providing allergy and bed bug protection, these pillow protectors help extend the life of your pillows by shielding them from saliva, perspiration, liquids, stains and basic wear and tear. 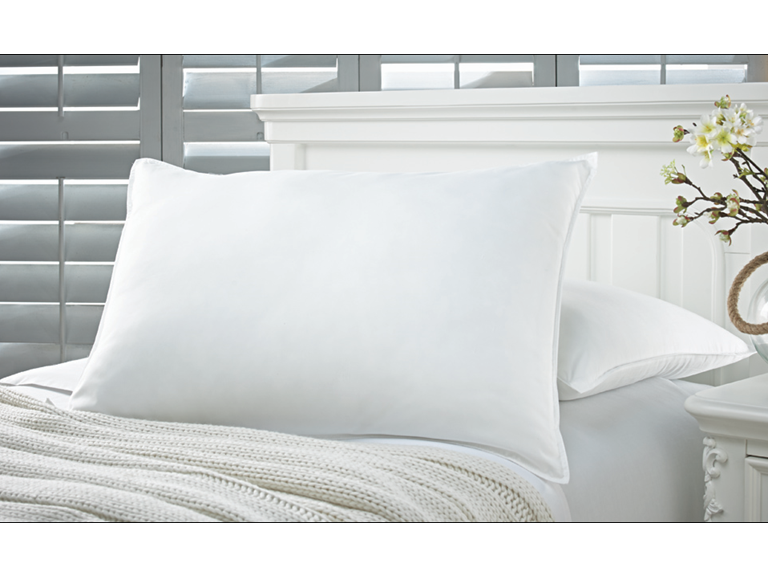 Featuring 400 thread count 100% cotton material, our pillow protectors are durable, breathable and soft for maximum comfort.